July 2017: New passenger vehicle registrations increased in Europe, Russia, Japan, Brazil, India and China but car sales were sharply down in the USA. In July 2017, the USA was the only major car market in the world with weaker growth with new light vehicle sales down 7%. The Russian and Indian car markets expanded rapidly with double-digit growth while the recovery in Brazil continued but at a more moderate pace. New passenger registrations in Japan increased for the ninth consecutive month. 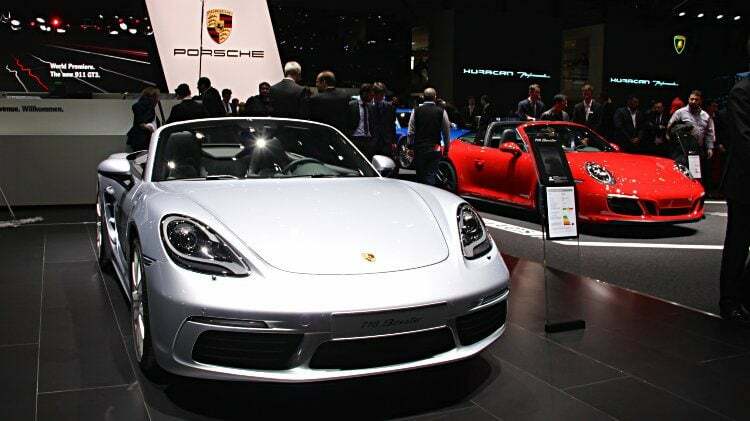 In China and Europe car sales were also stronger but the UK recorded the fourth consecutive month of weaker car sales. The recovery of the Russian light vehicle market continued with new registrations up a strong 18.6% in July 2017 – the best performance of any of the major car markets in the world. July was the fifth consecutive month of expansion of the Russian new car market and the third consecutive month of double-digit growth. After years of contracting, the Russian new car market expanded by 8.5% thus far in 2017 to 848,200 vehicles. In Brazil, the new light vehicle market also expanded in July 2017 but at a lower 2.3% to 179,000 vehicles. The Brazilian car market has been contracting since December 2014 but July marked the third month of consecutive growth although at a more moderate pace than June and May 2017. Strong car sales in May and June combined with moderate growth in July helped the Brazilian car market to expand by 4% to 1,172,100 vehicles thus far in 2017. The Indian new car market expanded by a strong 15.1% to 299,000 cars in July 2017. A tax regime change was largely blamed for the 11% contraction in June. Thus far in 2017 the Indian new car market grew by 8.9% to a record 1,829,800 cars. In July 2017, the Japanese new car market grew by 2.6% for the ninth consecutive month of year-on-year sales increases. Thus far in 2017, new passenger vehicle registrations in Japan increased by 9% to 2,703,900 cars – the strongest performance of any of the world’s major car markets. The Chinese new car market grew for the second consecutive month in July 2017 when the world’s largest single-country new car market expanded by 5.5% to 1,650,900 vehicles. Thus far in 2017, the Chinese car market grew by 3.1% to 12,587,300 passenger cars. In July 2017, new passenger vehicle registrations in Western Europe (EU15 + EFTA) increased by 1.8% to 1,090,000 cars. (Full EU figures that include the faster growing Eastern European markets are not yet available.) Of the main market, France grew the fastest with 11% followed by Italy with 2%. In Germany and Spain car sales increased by 2%. In the UK, new passenger vehicle registrations contracted by 9% – the fourth consecutive month of lower car sales in Britain. Thus far in 2017, new passenger vehicle registrations in Western Europe expanded by 3.5% to 8,885,300 cars. In July 2017, registrations of light vehicles in the USA contracted for the seventh consecutive month. Light vehicle sales in the US were down by 7.1% to 1,408,500 vehicles. Traditional passenger car sales were down by 15% but in July 2017, light truck and SUV sales were also down by 2% – the first contraction in this section of the market since September 2013. During the period January to July 2017, light vehicle registrations in the US declined by 3% to 9,809,700 vehicles.